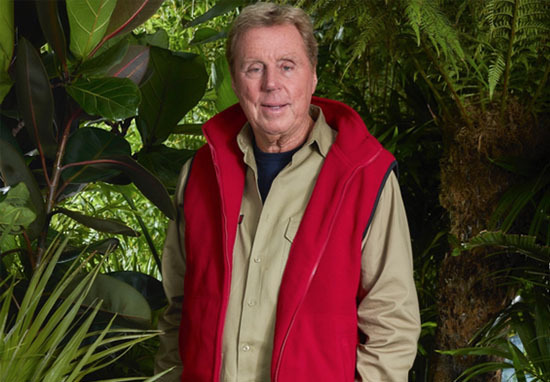 Following Harry Redknapp’s I’m A Celebrity… Get Me Out Of Here win, fans are calling for a reality TV show starring himself and his beloved Sandra. I have to admit, I didn’t know who Harry was before he went into the jungle. Though I recognised his name when reading about all the stars who would be taking on 2018’s bushtucker trials, I couldn’t put a face to it, and I certainly wasn’t expecting to love him as much as I did. Though there wasn’t much competition, the 71-year-old quickly became my favourite football manager, and three weeks later I was grinning like a proud mum when he was crowned King of the Jungle. Harry made clear who the most important person in his life was throughout his time on I’m A Celebrity, where he spoke fondly of his wife Sandra, who he’s been married to for 51 years. Watching the pair reunite when the remaining jungle campmates were allowed to spend some time with their loved ones was like watching two excited teenagers as they perched on one seat together, with Harry’s arms wrapped around his ‘Sand’. Part of my enjoyment for his I’m A Celebrity win came simply from the fact he wouldn’t have to spend another minute without his other half – I don’t think he could have coped for much longer! While Harry’s jungle experience is over, fans haven’t had enough of him just yet, and many are calling for him and his wife to star in a reality TV show of their very own. Please can Harry and Sandra get a reality show?? Make the Redknapps the British equivalent of the Kardashians. Cameos of Noel Edmonds, popping over for jam roly polys and custard. I would watch the sh*t out of it. A third pitched a few possible titles for the show, though with The Only Way Is Hazza and When Harry Met Sandra, it’s fair to say they’re not the most original. Sending ideas to @itv2 this morning! We need a Harry and Sandra reality show!!! Though it might be cute to learn a bit more about the pair’s lives, Harry said himself he spends much of his time relying on Sandra to find his socks and various other items around the house. It might be funny for an episode or two, but I imagine that would get old quite quickly, no matter how loveable Harry is. Instead of watching Harry and Sandra go about their day to day lives, I propose a show in which Sandra serves up a range of jungle-like dishes for Harry to try. His reactions to learning he has anything other than a cheese sandwich or lasagne on his plate are always priceless. For each new food he tries, he could win one of Sandra’s special jam roly-polys; now there’s a show I could get behind.